There are many loan officers to choose from but very few that put their clients first. That is why our team lives by the motto "It is not a loan, it is your home." We have built our business based on honesty and customer service. Only a few loan officers have been in the business since 2001 AND been around the industry their entire life. Our experience allows us to provide security and peace of mind to our clients and partners as we help them navigate through the complex and ever changing mortgage market. Whether you are a first time home buyer, a move up buyer, downsizing, an investor, or looking to refinance your current home, we will find the right program to fit your specific needs! Kelly & The Weston Team understand that home financing is one of the biggest financial decisions and life moments you will make. We also know that, without the aid of a knowledgeable and honest partner, getting a mortgage can be a daunting task. The Weston Team knows how to make your loan process anxiety-free, trouble-free, and completely satisfying every step of the way! That is why The Weston Team is determined to get you in the perfect loan that meets your individual needs not only for today but also in the future. The Weston Team has over 50+ years of combined mortgage experience! Kelly is an Arizona Native that began her career in Banking in 1999 while going to school full time. She graduated from the University of Arizona with a Degree in Economics & General Business and then moved to Phoenix and began her career in the Mortgage industry in 2001, following her father’s footsteps, who has been in the Banking and Mortgage Industry his entire life. During her years as a Top Producing Loan Officer, Kelly has always stuck with the values of hard work and doing the right thing for the customer. Her business is based on honesty, customer service, and relationships. 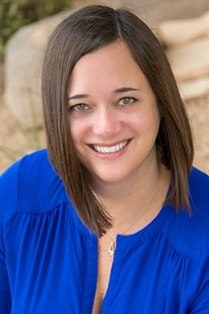 Kelly is an active member of BNI, The CORE Training Inc., the local Association of Realtors, and Supporter of The Scottsdale 20/30 Club & Agents Benefiting Children and. In her spare time, Kelly enjoys spending as much time as possible with her husband Quentin, her two kids Kendall & Grayson, Coco their chocolate lab, and traveling. Charity is a huge part of Kelly & Quentin’s lives and they believe that giving back to the community is an essential part of life. Please let us know how we can help you with all of your mortgage needs! We are working hard to be your lender for LIFE!